For the past decade, an audacious program called Football Dreams has held tryouts for millions of young boys across Africa, looking for soccer's next superstars. Led by the Spanish scout who helped launch Lionel Messi's career and funded by the desert kingdom of Qatar, the program chooses just a handful of boys each year to train to become professionals; the process is one thousand times more selective than getting into Harvard University. 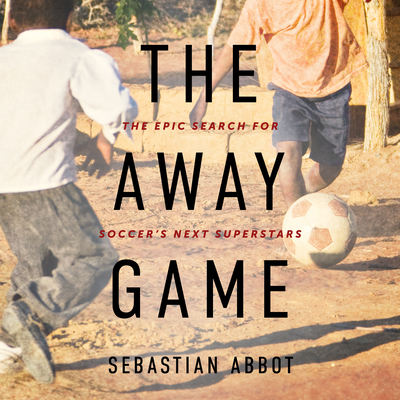 In an extraordinary work of reporting, international politics, and sports science, Sebastian Abbot follows a small group of the boys as they are discovered on dirt fields across Africa, join the glittering Football Dreams academy in Doha, and fight for the chance to gain fame and fortune at Europe's top clubs. Weaving together the drama of the boys' determination to chase their dreams with the latest ideas on talent spotting and predicting sporting success, Abbot memorably explores why some of the boys succeed and chronicles the heartbreak of those who don't.